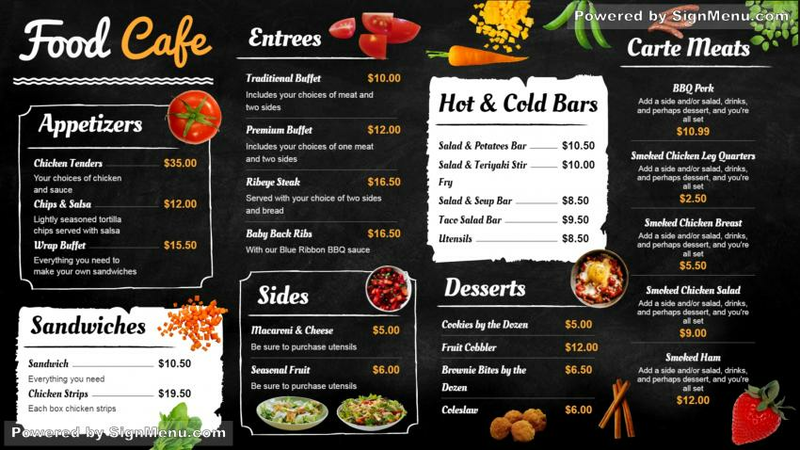 This digital restaurant menu board looks quite appealing with a black backdrop. All the names of the dishes and the prices have been done in white to make them appear prominent. There are names and icons for the food items which look awesome. The tomato and the cherry appears quite mouth watering.